Creamers is a film that became part of my life. It is a true example of life and art in imitation of each other. The story was inspired by my first job at Richard Williams Studio. The meticulous and repetitive nature of animation means that your mind wanders as you work. And for me my mind would wander outdoors – where there was lots of light, fresh air, snow and sometimes dogs. Since that time I have worked for over 20 years in a range of different productions in a variety of capacities but the key threads of Esther’s story continued to resonate. Her plight was my plight and it inspired me to doggedly pursue Creamers until completion. 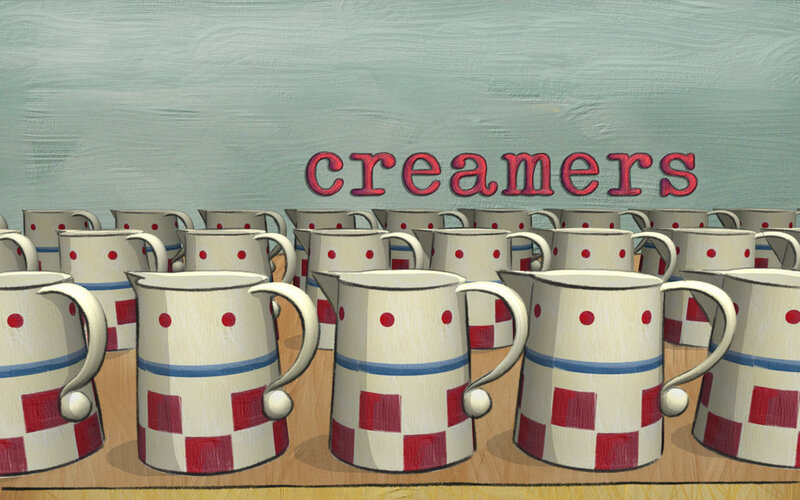 Because of its longevity Creamers has seen many changes in technology and the tools available to create 2D animation. There were many elements of the story that presented technical challenges and its creation felt like a continued exploration in the visual problem solving. Some of these experiments and production processes have been catalogued on my blog The Longest Day Has an End.